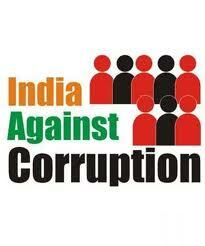 IAC is a huge revolutionary movement that looks promising to sweep away the corruption from this country. But how far can it go is a question to be answered. It is led by a man who is an epitome of simplicity, reverence and honesty. But does he have the strength to take it far is a wait and watch question. What makes IAC a special team is that, it does not consist of normal citizens. It has people who are well educated, disciplined and above all who have proved to world that they are one of the best in their respective fields. The likes of Arvind Kejriwal, kiran bedi, Prashanth Bhushan,Meda patkar are extraordinary people themselves and for them to unite for a noble cause is something commendable. How many people who have achieved in their lives have the vision to do something good for the country? Especially to fight against all odds is something that is not trivial and needs to be supported and well appreciated. The demands of IAC are simple and straight forward. They want a lokpal bill which seeks to provide for the establishment of the institution of Lokpal to inquire into allegations of corruption against certain public functionaries and for matters connecting them. They also want an independent council that is exempt from governmental control that could look into corruption charges. The independent council must be open to all and must be visible to general public eyes. They have also demanded an independent CBI that is free from all control and that would come under the eyes of lokpal which would investigate corruption allegations or charges. Although it started as a united front to confront corruption, it is looked up on as an anti –government rebellion and has often been termed as ‘INDIA AGAINST CONGRESS’ since most of its allegations have been against the congressmen. Arvind Kejriwal rubbished the notions of the ruling government by accusing BJP head Nithin Gadkari of being corrupt and thus showing the country that corruption is not just restricted to Congress alone but is also associated with other parties as well. What makes IAC look weak is that, although it has been able to successfully find evidences for all the allegations it has made, it has never lodged a complaint in court of LAW. It has only been revealing facts in media and has never taken pains to file a charge against the corrupt in the court. As Janatha party Subrahmanium Swamy has beautifully quoted ‘there is no point in making allegations if you cannot take it and prove it the court of LAW’. Wrong doers need to be punished and just by tarnishing their image in public with the help of media is not going to do good for the country. Hence every allegations made needs to be taken to the court and justice needs to be served to the people of this country whose hard earned money has ended in the pockets of these so called 'Netas'. Although IAC as a team have managed to move the masses, the idea of contesting the elections as an independent party is a precarious decision and has not been backed by their pillar of support Anna Hazare. I always believe that to clean the gutter you always need to put your foot in to it even though you know it’s going to stink. In that sense, I personally think IAC to contest as a party is a right step forward. Will masses who have given their support during fasts, turn out to vote during elections 2014??? Only time will answer. Till then let’s watch how the story unfolds itself in times to come. IAC should not become like lokparitan.. Guess, the educated masses would vote fr IAC.. It would be tough for the IAC team to convince people in villages and other interior parts of India.